The SV-ARINC-429 module allows SkyView to fully communicate to ARINC-429 enabled devices such as the Garmin GNS 430/530. 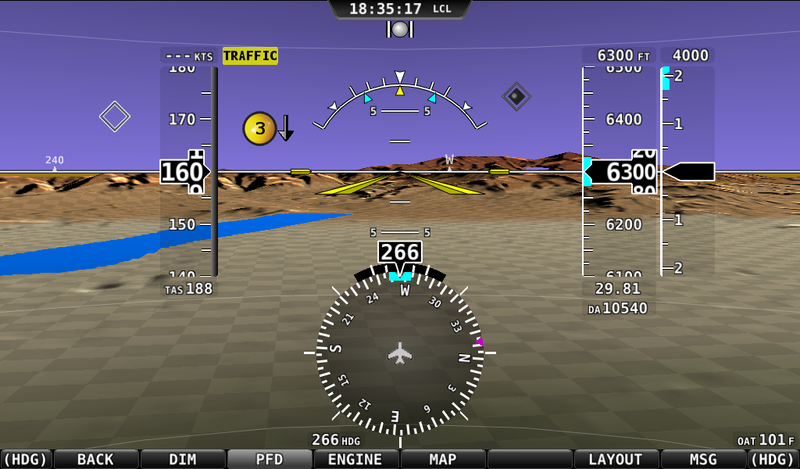 For example, connecting a Garmin 430W to SkyView through the SV-ARINC-429 allows SkyView to display all VOR, ILS, and GPS WAAS (including VNAV) information on its HSI. Additionally, SkyView installations that have the Dynon Autopilot installed will also benefit from the GPS Steering commands that the devices like the 430W output. 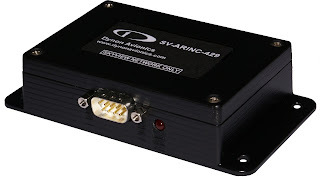 SV-XPNDR-261 and SV-XPNDR-262 transponders are another exciting addition to SkyView, bringing Dynon closer to its ultimate goal of being able to supply your entire panel. 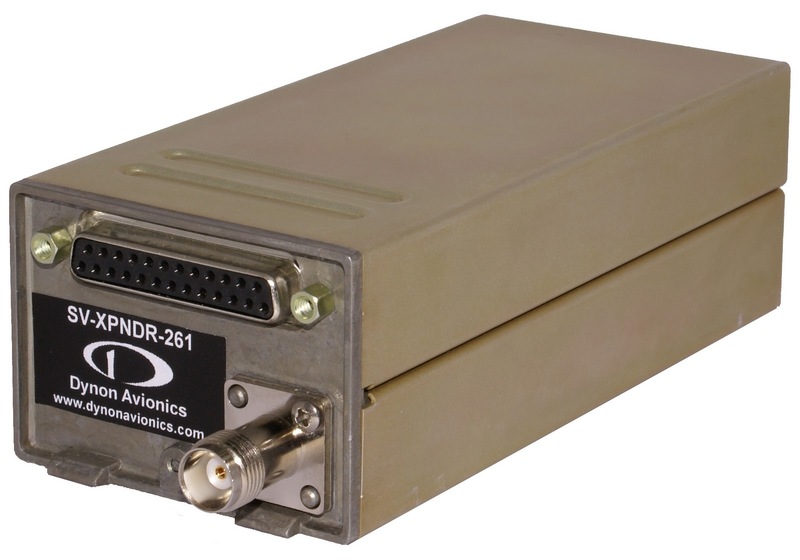 The SV-XPNDR-262 is a Class 2 Mode S transponder, which means that it is suitable for use in aircraft that are flown below 15000 feet and are slower than 175 knots. For aircraft that fly higher or faster, the SV-XPNDR-261 is available. Both transponders feature the ability to receive TIS traffic (US only), and are capable of meeting the FAA's 2020 ADS-B Out mandate (note that this feature requires a future software upgrade, since the latest ADS-B rules and requirements have only recently been published by the FAA). The SV-XPNDR-262 costs $1800, and the SV-XPNDR-261 costs $2200. 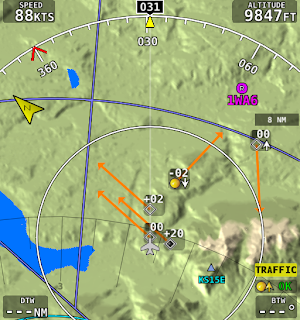 SkyView can receive TIS traffic from the SV-XPNDR-26X transponders, and it can also receive traffic information from any device that outputs data in Garmin's TIS format. This enables compatibility with a variety devices, including the Zaon XRX, the Garmin GTX 330, and the NavWorx ADS-B receiver. 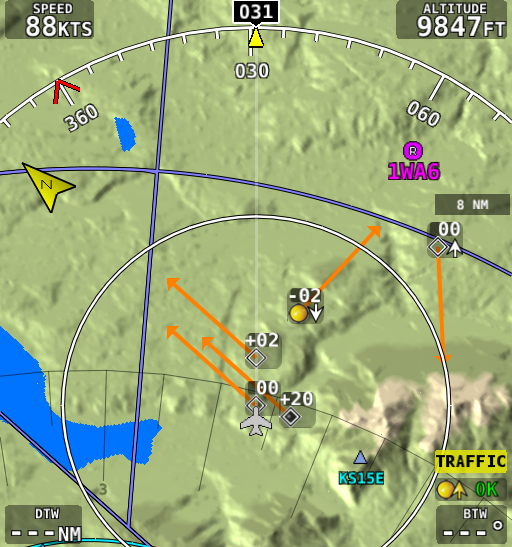 When traffic is being received, it can be displayed on both the PFD and MAP pages in SkyView! 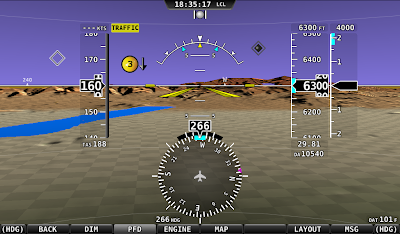 SkyView version 2.6 can be downloaded here.